The cool, dark weather is here but there’s brightness everywhere. It’s the holidays after all, and there are lots of ways to lift the spirits at this time of year from twinkly lights to festive outings and even snow if you head to the North Shore and beyond. Here are are few family-friendly holiday picks sure to put a smile on your face. Luckily, Metropolis knows it’s popular at this time of year so it has introduced and improved services to make it easier to get everything you need done as easily as possible during the silly season including locating your car and visiting the man in red. Top Santas in the City! Check out the latest holiday extravaganza at Concord Place. If you want a glitzy, surreal, over-the-top light installation then get yee to Aurora Van at Concord Place. This is downtown’s answer to Glow and a follow up to Enchant but also includes a skating rink, tubing, a ferris wheel, roving winter characters, and a mystical maze that the kids will love. 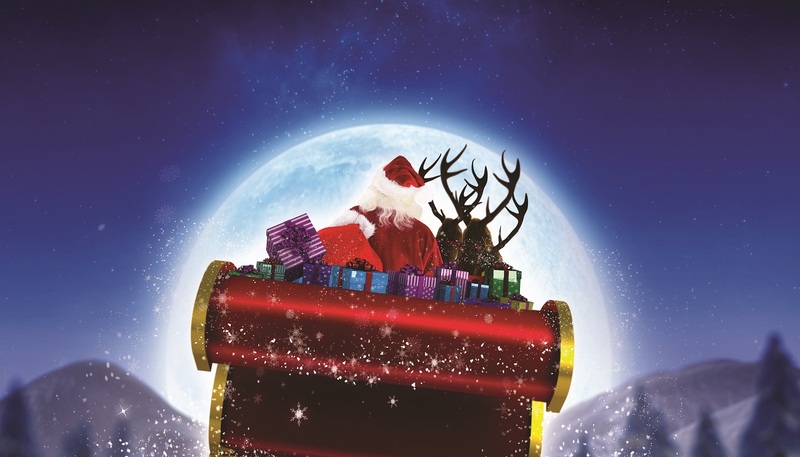 Looking for a thrilling and delightful Christmas outing with the kids? Head down to Canada Place, wander along the glittering promenade taking in the views and festive windows, then board a breathtaking virtual flight with Santa and his elves at FlyOver Canada. It’s hard to beat Grouse Mountain’s Peak of Christmas event. It’s a snowy, wintry delight complete with reindeer, a jolly of elf, an outdoor skating rink, a magical light walk (photo op! ), a sleigh run, and loads of spaces to warm up with a hot cocoa by the fire. Oh and the view is pretty spectacular too. Imagine skating surrounded by lights and in the heart of downtown. As one of Vancouver’s only guaranteed outdoor skating rinks, this is a must-go this holiday season. Skating is free and skate rentals are $4. For over 20 years Aunt Leah’s Tree Lots have been raising money to fund programs that help prevent children in foster care from becoming homeless, and young mothers from losing custody of their children. Last year they raised over $450,000 thanks to generous community members, sponsors, and volunteers. This Christmas season why not join the tradition and help give kids a home. PS. They deliver! Whether it’s a classic like the Goh Ballet’s Nutcracker, the madcap shenanigans of the East Van Panto or a wintry production of the hols are the perfect time to head out as a family to see a live performance. Got a little space nerd in the family? Learn more about the latest Canadian astronaut to head into space. When you’re done, take a bracing ocean walk along Vanier Park and take in the views.